Ever heard the term ‘Party Wall’? And no, this is not any kind of celebration which involves music by Michael Jackson or Sam Smith. A ‘Party Wall’ refers to a common boundary wall which stands between two adjoining properties (semi-detached/terraced) or gardens, though this is usually know as a “Party Fence Wall”. Served when alterations or building works are being made which could directly affect the wall in question. The response time limit is two months and must be accompanied with the building owner’s name and address, a brief of the proposed works and the date on which works shall commence. When excavating/building within 3 to 6 meters of your neighbour’s property and to a depth lower than the foundations. Again the person serving the notice must include their name, address, brief and date of works but in addition must include plans of the excavation; the adjoining owner then has 14 days to respond. Served when there is construction of a new wall adjacent or astride to the boundary. The response time is 1 month. 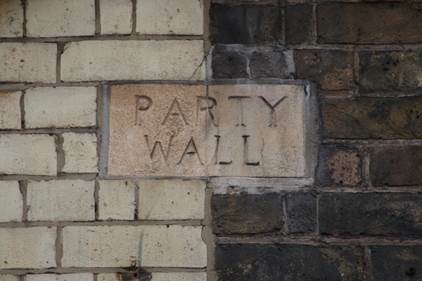 Following the serving of a Party Wall notice, either or both the building owner and adjoining owner may appoint a Party Wall Surveyor to prepare a Party Wall Agreement/Award. The award sets out the guidelines of how the proposed works should progress. It will include a “Schedule of Condition” with documented photos and a planning drawing to show proposed works. Once agreed by both surveyors the award will be signed and witnessed and sent to both owners, another copy going to the appointed contractor. There is a 14 day appeal period to allow for any discrepancy to investigate. The proposed works must commence usually within 12 months of the award being agreed. If you have any of the above requirements to do with Party Walls we are here to help! Call 01892 534455 or email dmp@dmp-llp.co.uk to speak with one of our staff.